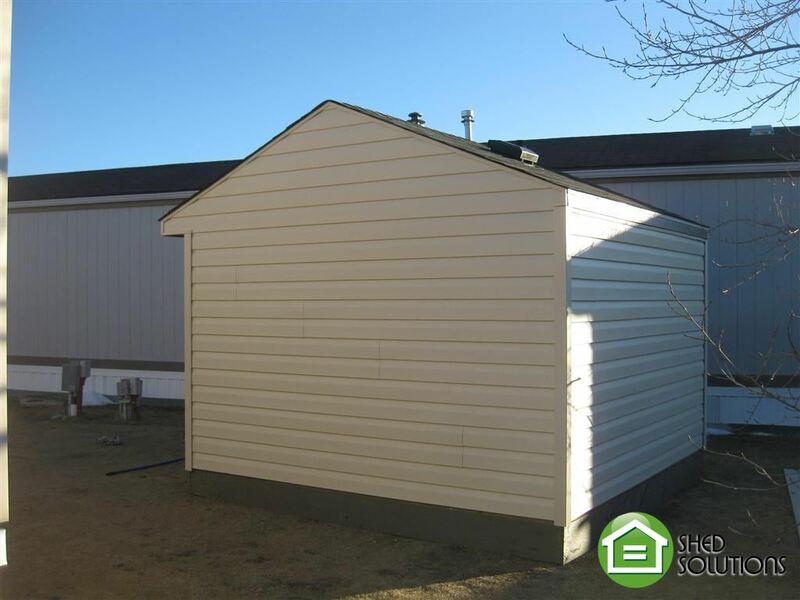 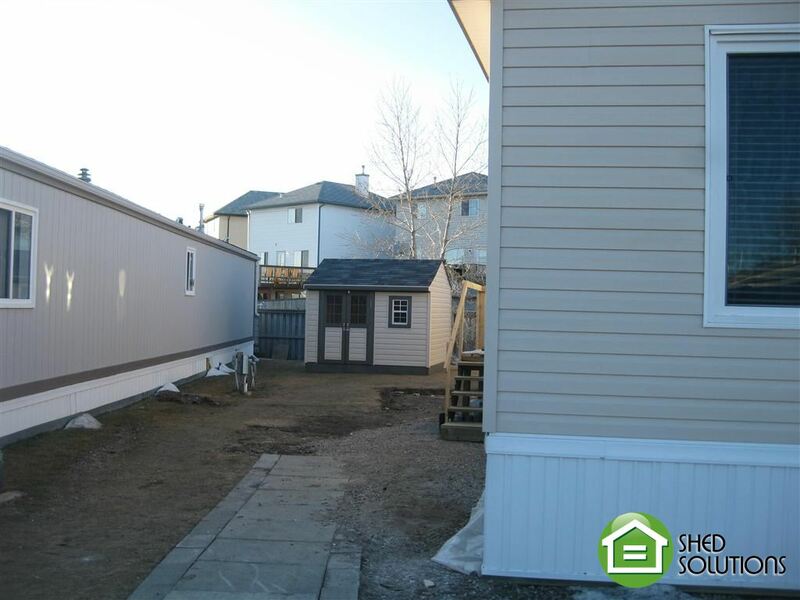 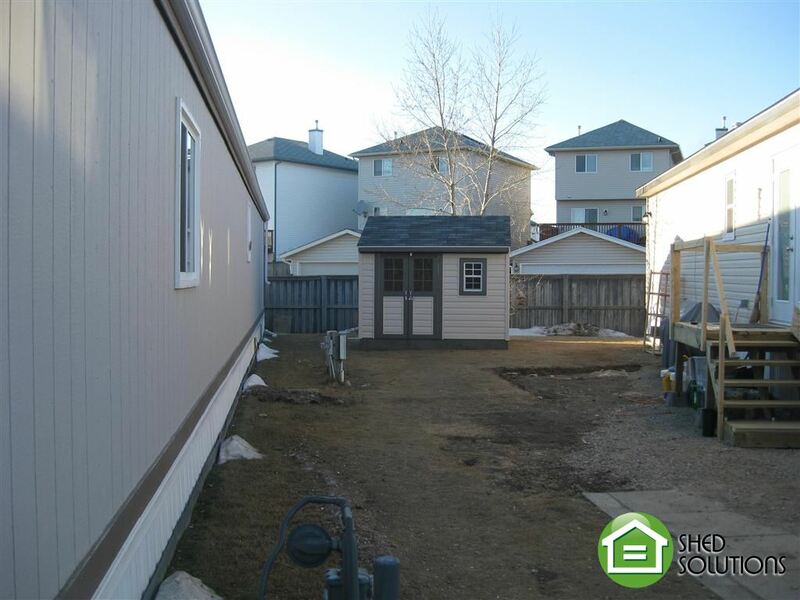 Jackie needed a storage unit on her property in the Northwest area of Arbour Lake. 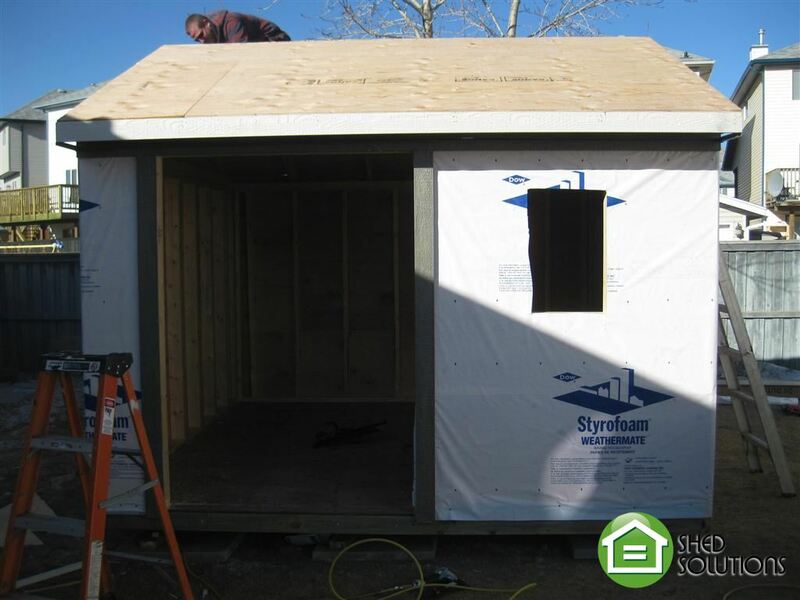 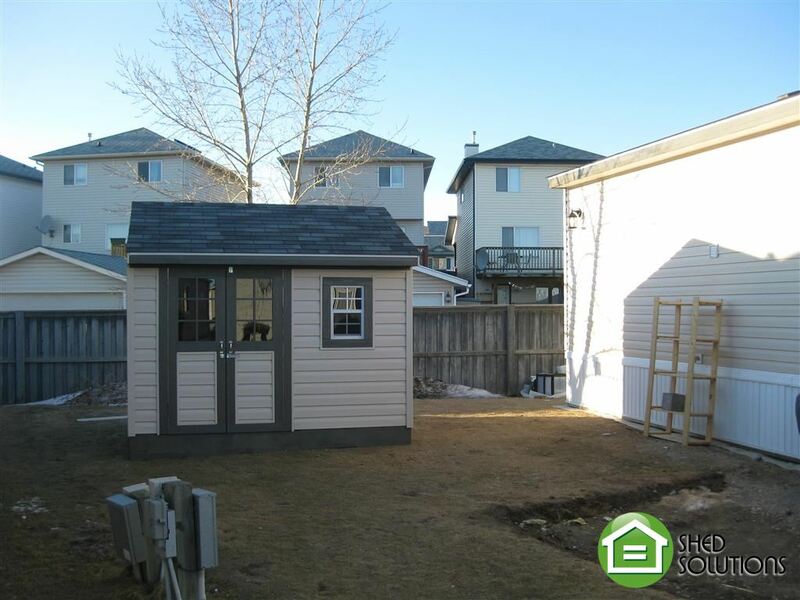 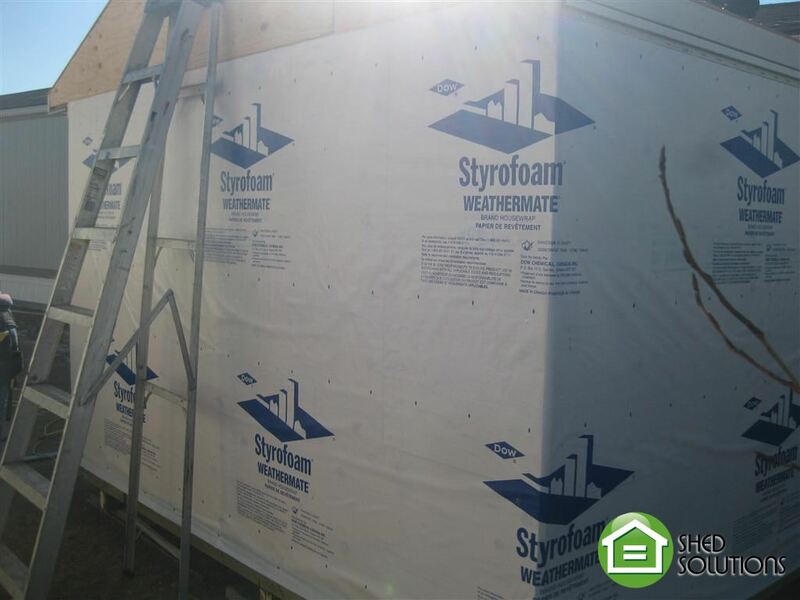 She had lots of space so we built a 10′ x 10′ shed to accommodate all her storage needs. 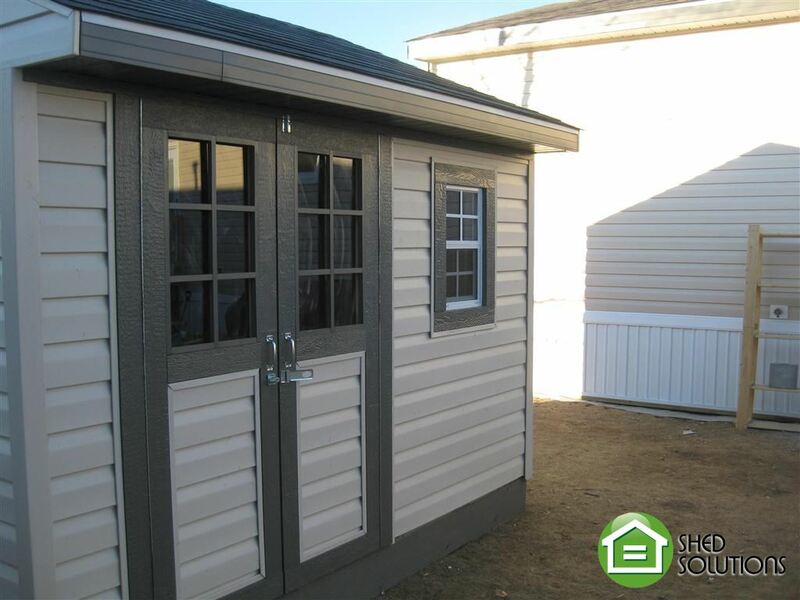 Jackie had 48″ double doors installed and one window package to add extra light. 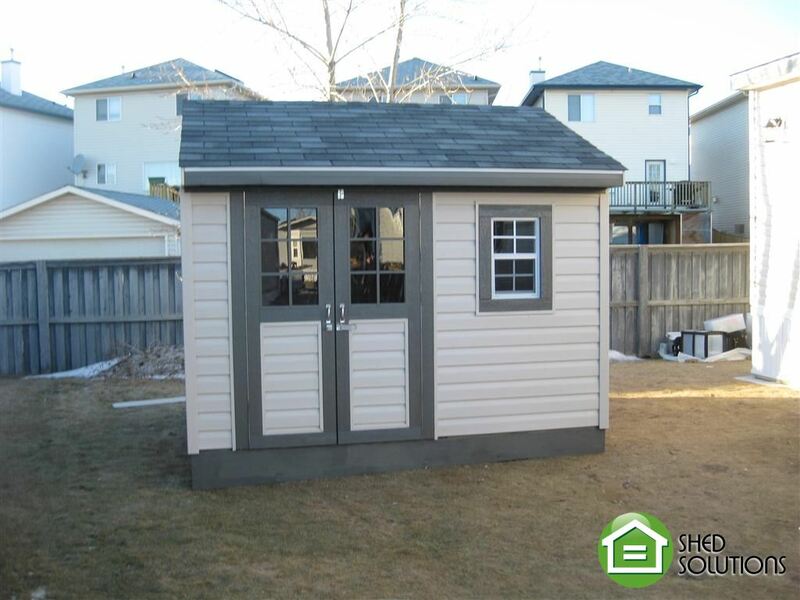 The double doors allow easy movement in and out of the shed with any large bulky items. 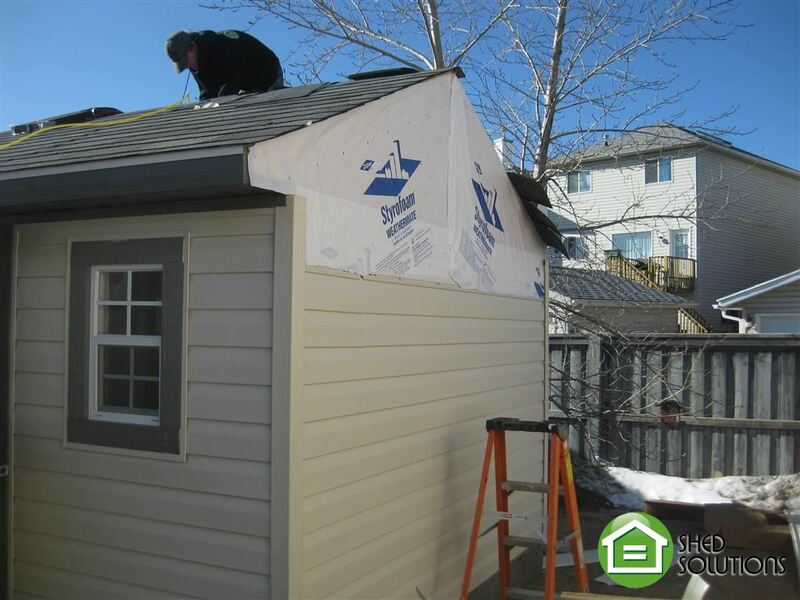 Jackie choose to upgrade the siding on her shed to our new vinyl siding package. 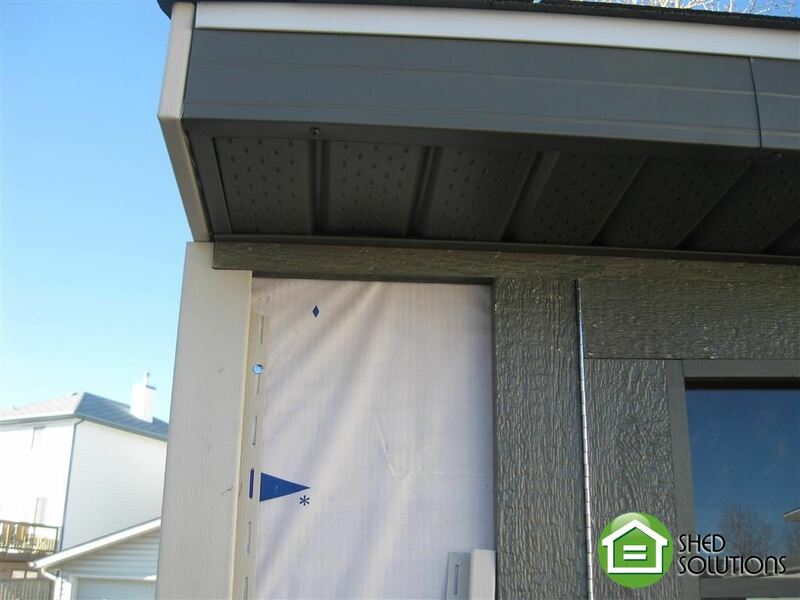 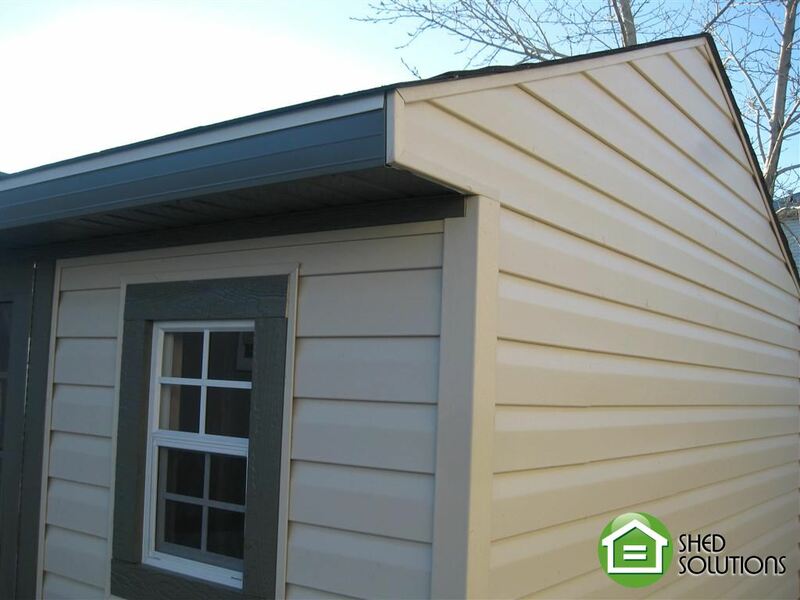 We were able to match the siding, soffit and fascia colors to Jackie’s home. 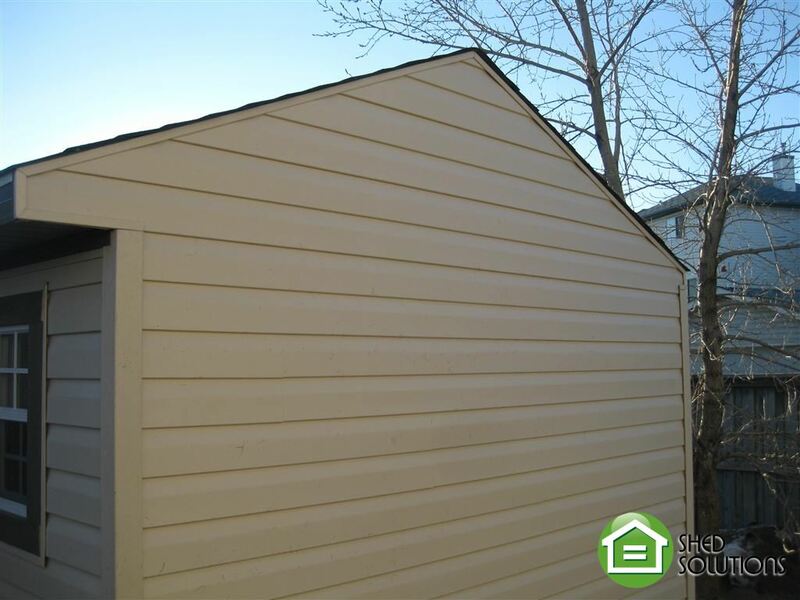 Our friends at Southpoint Benjamin Moore were able to match a paint colour for the trim on the doors from the fascia colour. 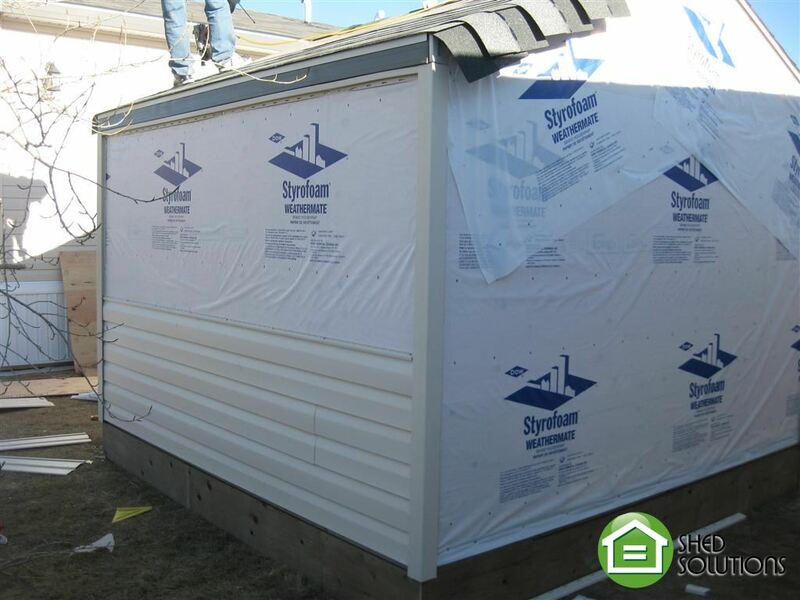 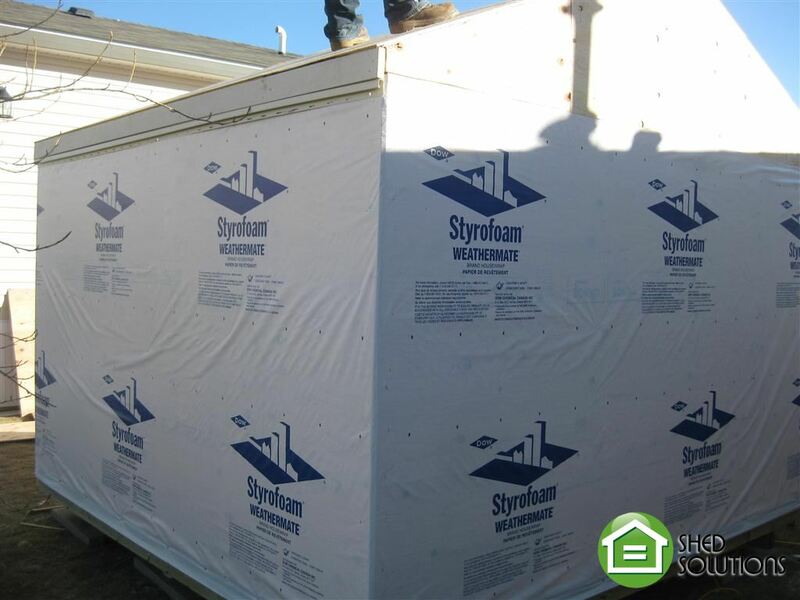 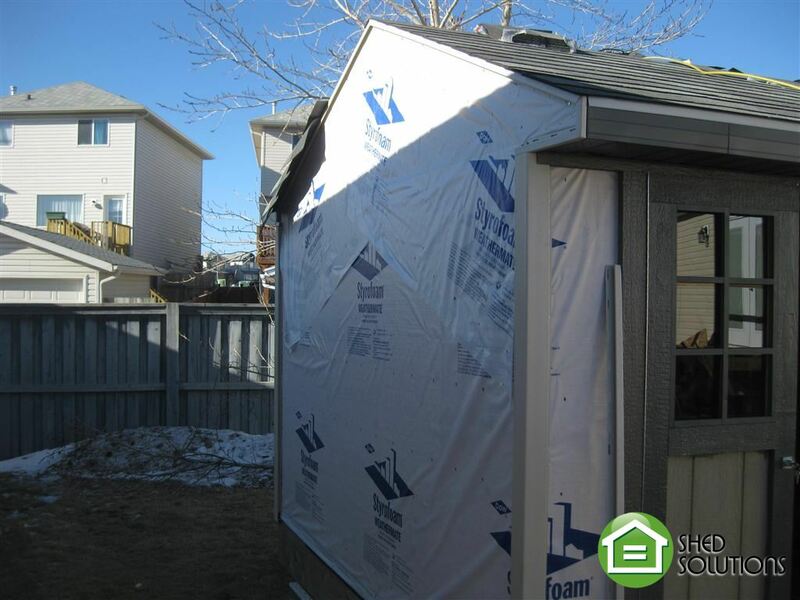 Her shed was completed with a Skirting Package. 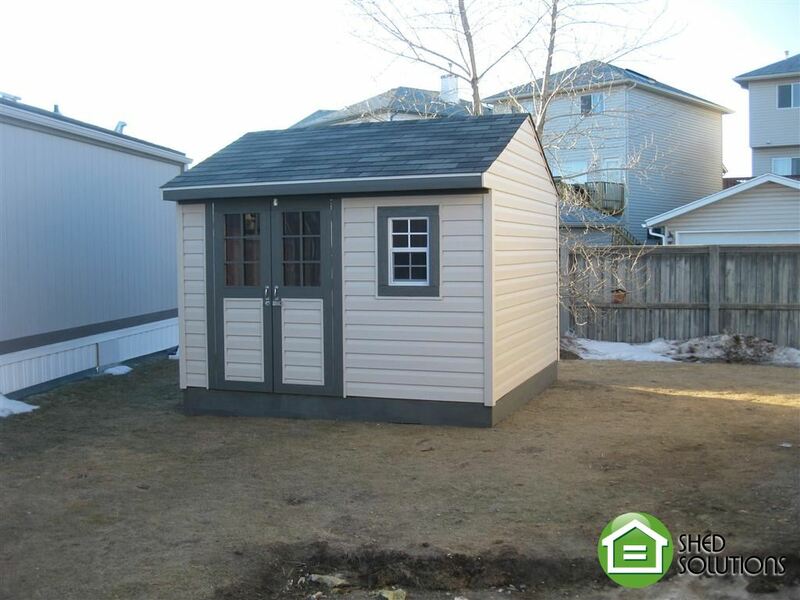 Jackie was very impressed with the final result. 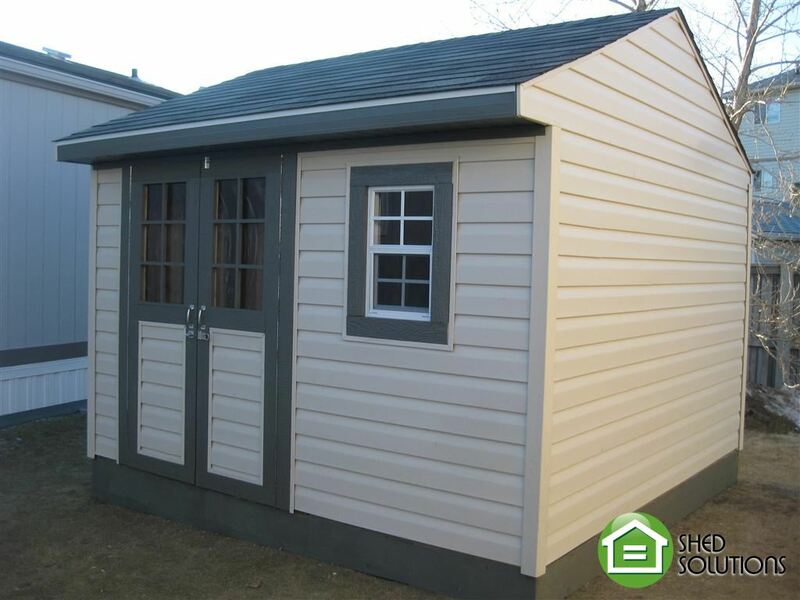 This shed was a huge improvement for Jackie’s storage needs and offers tons of space to use however she wishes.